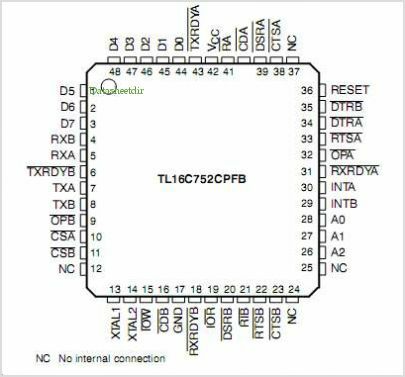 This is one package pinout of TL16C752C,If you need more pinouts please download TL16C752C's pdf datasheet. This is one application circuit of TL16C752C,If you need more circuits,please download TL16C752C's pdf datasheet. IDT72T36115, 128K X 36 TeraSync FIFO, 2.5V - Best Value!